A woman once celebrated for her dedication to helping animals was arrested on 14 counts of felony cruelty this week after more than a dozen severely neglected dogs were discovered in her home, a California-based rescue organization announced on Thursday. Back in December, 53-year-old Kay Buell was widely commended for saving the life of Angel, a skeletal, nearly-dead dog she claimed to have found stumbling down the side of the road. 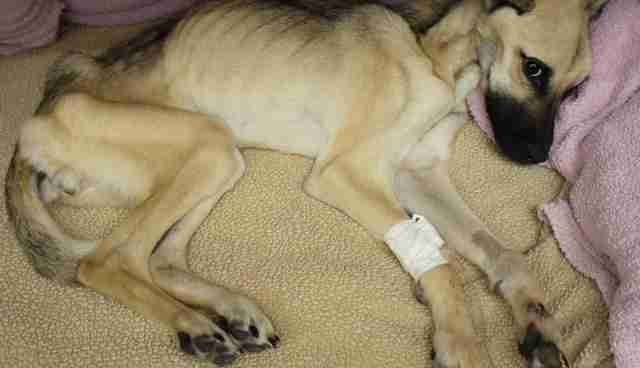 "This is not a dog who has been living on the streets and just got this sick. 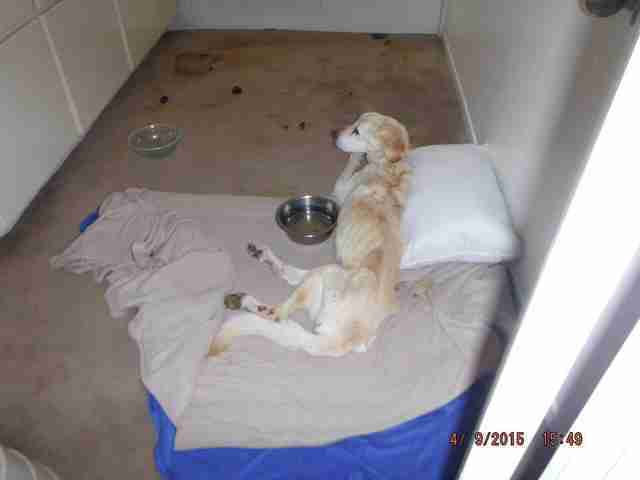 This dog was neglected," wrote the rescue group that eventually took in Angel. "This is cruelty at its worst. It made me [physically] sick to see Angel's condition and think about the amount of abuse she went through over the past several months, if not years." In May, however, animal services removed 13 dogs from a supposed foster home after a routine license check uncovered several "severely emaciated" dogs. Of the 13 animals, two were immediately euthanized for starvation, one died in transit and another was found dead in a trash can, Victor Valley News reports. According to the Van Nuys-based Rescue From the Hart (RFTH), the home was Kay Buell's. "I believed Kay's story of how she found Angel, as I had no reason not to," wrote Rescue From the Hart on Facebook. "She was a well-respected foster for many other rescues, though she had never fostered for RFTH. But four months later, [animal control] officers from Apple Valley Animal Shelter performed a raid on Kay's home that unraveled the sick truth behind who Kay Buell really is." 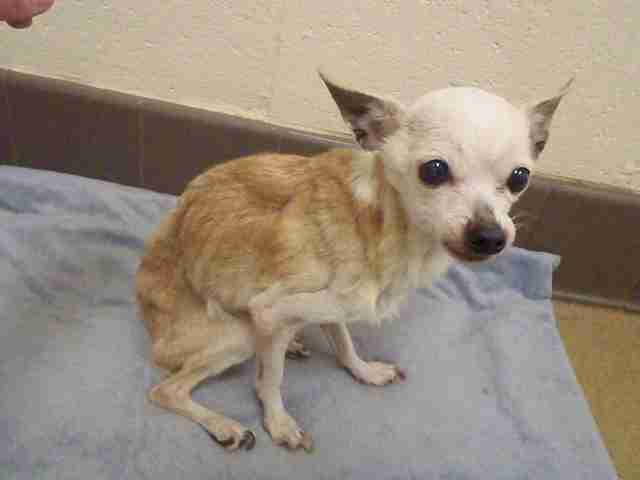 Miraculously, Angel eventually recovered, but other dogs have not been so lucky. Since the raid, rescue groups have been trying to track down more than half a dozen other dogs who allegedly disappeared while under Buell's care. Buell is scheduled to be formally charged Friday afternoon. Her bail had been set at $650,000, according to the San Bernardino County Sheriff's Office. The Dodo will update this story once Buell is charged.